Presidential candidate John Delaney is pledging to use federal dollars to fund start-up incubators at HBCUs, end the use of cash bail at the federal level, remove marijuana from Schedule I of the Controlled Substance Act, and increase funding for body cameras for police officers, according to a copy of his “Commitment to Black America” plan provided exclusively to The Root. Delaney, who is a former U.S. congressman from Maryland and is barely registering in national polls, will need significant buy-in from African-American voters to have a remote chance of being competitive. He is scheduled to speak this morning and share his plan at the National Action Network conference in New York City, where many of America’s leading black civil rights activists will be in attendance. 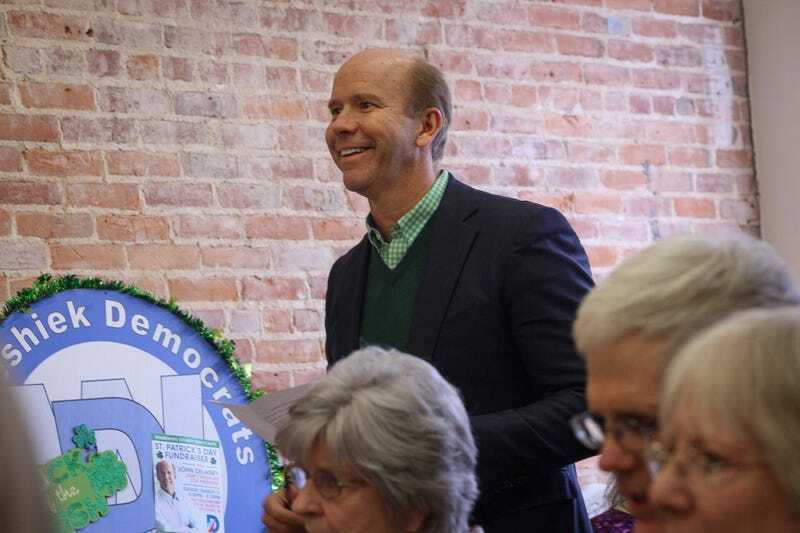 Other areas Delaney wants to address to help black voters include increasing funding for community policing and the re-institution of Obama-era Department of Justice oversight of police departments that show clear patterns of abusive behavior. If the above mentioned sentences read vaguely, your eyes are not deceiving you. We will be interviewing Delaney today and will try and address any gaps in his plan. To give readers a full, objective look at Delaney’s “Commitment to America,” The Root is publishing the full plan for everyone to make up their own minds. The U.S. has a long and difficult history when it comes to the treatment of African American and other minority communities. While we have taken meaningful steps to update our laws and regulations to address racial discrimination, we have still not ended systemic racism. In addition, economic data continues to show stark racial inequality. In 2017, the median income of black households was nearly $28,000 lower than the median income for white households, and black Americans lived in poverty at more than double the rate of white Americans. The lack of upward economic mobility persists as a major issue for black families. Black households are likelier to be at the bottom of the income distribution, and more than half of black children born in the lowest-income households remain at the bottom as adults. For white households in the same position, two thirds of children will rise to higher income quintiles as adults. In order to level the playing field and create a country that works for all Americans, there are clear racial disparities that must, and can, be addressed.